Various life habitats exist and unique ecosystems are maintained in forests, lakes and ponds, coral reefs, and oceans. If these ecosystems are damaged, the natural environment that is indispensable for maintaining the life of human beings will be harmed. Ricoh places priority particularly on forest with rich biodiversity and has been promoting forest conservation projects since fiscal 1999 in partnership with environmental NGOs and local communities. Unlike simple afforestation, the main aims of these activities are to protect the habitats of indigenous species and the life of residents, and to establish a system for sustainable forestry management. Once devastated, a natural forest cannot easily return to its original state. It may take hundreds of years for nature alone to recover what was destroyed. Such was the state of the Afan Forest when we started the project. With an image of the site 100 years in the future in mind, we are helping the forest boost its ability to recover. The Yanbaru Forest on northern Okinawa Island is a precious habitat for many endemic species such as the protected Okinawa Rail (Rallus okinawae). This project will inform local residents and tourists about the importance of forests and will build a mechanism that allows continuous conservation through designation of the area as a national park. In the Russian Far East, large-scale deforestation is reducing the populations of rare indigenous species such as the Amur tiger (the largest tiger in the world), and driving some species to near extinction. In order to protect forest ecosystems while conserving the livelihood and traditional culture of the people living in this forest, we aim to have this area designated a World Heritage Site with the cooperation of local residents. Three Parallel Rivers is a Natural World Heritage Site where visitors can find rare animals and plants as well as breathtaking landscapes formed from mountains and rivers. The biodiversity in the area is being threatened by poaching, illegal lumbering, and overgrazing. By jointly test-growing high value-added products such as lingzhi (reishi) mushrooms and matsutake mushrooms with local residents, we are aiming to create a mechanism where local residents can gain a stable income while living in harmony with nature without relying on hunting or logging. Mangrove forests form a typical ecosystem in Malaysia, which is rich in biodiversity. The population of mangroves is decreasing each year due to illegal trespassing and unlawful lumbering. In this project, the significance of mangrove forests and their ecosystems is being shared with local residents, and restoration and sustained conservation of mangrove forests are being sought through environmental education and forestation activities. In Mexico, part of the South Pacific coastal areas have been subject to a range of human activities, from the construction of canals and dikes to aquaculture and salt production. Such activities involve mangrove deforestation, inducing aridification and ecological damage in an expanding hectarage across the natural wetlands. The following three actions will take place: 1) expanding the afforestation areas, 2) building and managing a system for conducting research on the mangrove forest ecosystem, 3) conducting activities to improve the livelihood of the local residents by using the restored mangrove forest in a sustainable manner. Since August 2007, Ricoh has been collaborating with SAVE Brasil to support a project to restore Boa Nova lowland tropical forests along the Atlantic coast in Bahia, Brazil. 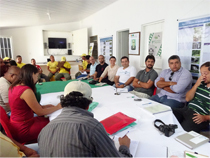 SAVE Brasil is mainly conducting activities in Brazil as a partner organization of international NGO BirdLife Asia. The lowland tropical forests extending along the Atlantic coast provide habitats for a variety of plants and animals, including 10 bird species that account for 6% of all endangered species in Brazil. The area is the third largest vegetative area after the Amazon and the shrub grassland area and serves as an important habitat for rare species. The area, however, has shrunk to about 7% of its peak size due to illegal lumbering, plantations, slash-and-burn faming, overgrazing, and other human activities. Under the project, we started to conduct activities to foster agroforestry and bird tourism to help local residents create a recycling-based society and live in harmony with the local forests. In the first phase, we conducted an ecological survey of hummingbirds (the symbol of the project), field studies with local elementary schoolchildren, seminars for residents, surveys on firewood usage, and the setting of areas of common land in cooperation with landowners. 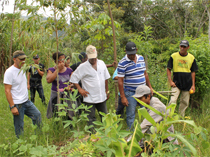 In 2009, we began planting seedlings of indigenous species in a planned manner. The Brazilian government also decided to give a subsidy amounting to 150,000 dollars over three years from 2009, after being urged to support the project following the support provided by Ricoh. In June 2010, the project area was designated as a national park and wildlife sanctuary. In the second phase, trees were planted to foster agroforestry so that local people could earn alternative revenue from collecting firewood and fruits, and a total of 500 residents participated in the seminars held for them. In the third phase, in order to support the independence of local communities, guides were educated, brochures and route maps were prepared, and a visitor center was opened for the national park. A total of 5,300 people have so far visited the park and Ricoh also supported the launch of the national park committee. Having determined that the project had reached the targeted “independence” phase, wherein the area could be independently managed by local residents, the NGO, and the government, Ricoh accordingly announced the completion of the project in July 2015. “Thanks to support from Ricoh, it is now possible to dream of a promising and harmonic future for Boa Nova’s birds, forests, and specially its people,” said Mr. Edson Ribeiro, Project Coordinator of SAVE Brasil, at the wrap-up of the project. Mr. Noel Mendes Oliveira, Director of Environment and Water Resources of Boa Nova, also highly evaluated the project, saying that it had made tremendous contributions not only to bird conservation but also to planning a future that would ensure the sustainable use of local natural resources. 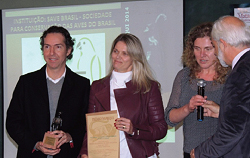 SAVE Brasil, a partner organization of Ricoh’s engaged in forest restoration in Brazil, won the 2014 Prêmio Muriqui. 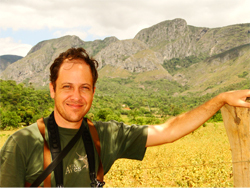 This award, recognized as one of the highest tributes to environmental action in Brazil, is granted by the ­Atlantic Forest Biosphere Reserve Council (which is part of the UNESCO World Network of Biosphere Reserves) to ­public or private institutions that stand out in their work, particularly for biodiversity protection and sustainable development. A prime example of the organization’s results is the identification of 237 Important Bird and Biodiversity Areas in Brazil. Through this forest restoration project, the organization has contributed to the ­creation of five protected regions covering a total of 60,000 hectares. In March 2002, Ricoh began cooperating with Conservation International, an international environmental NGO, to support the Rainforest Recovery Initiative in Ghana. This initiative employs the agroforestry method, where cocoa beans--a source of income for the natives--are planted and cultivated not in reclaimed farmlands, but in forests and among the trees, in order to preserve them and increase incomes among the native inhabitants. We planted varieties of cocoa beans that can grow in shady forests and employed “Farmers’ Field School” classes to teach the natives technologies such as effective cultivation methods suitable for the land, IPM (Integrated pest management) as the cultivation method, and the use of mineral fertilizers. Farmers that adopted agroforestry were able to gather 30% (on average) more cocoa beans than farmers who practiced conventional farming methods, and this result has led to an increase in the number of farmers who want to practice agroforestry. Since the natives experienced that cherishing and preserving forest lands would actually lead to increased income, a system that focused on sustainable conservation of forests was established. After determining that the “independence” phase, which was Ricoh’s objective, had been achieved, we withdrew from the initiative that we had worked towards for 11 years. Ghana is a part of the Guinean Forests of West Africa, which is a biodiversity hotspot, and in which endangered species such as African forest elephants and Diana monkeys live. One problem in Ghana is that people in the country cut down trees to earn a living. Improving the method of cultivating cocoa beans, a product that is representative of Ghana, contributes to economic growth and preserves the environment. Such economic growth and environmental conservation reduces poverty and conserves biodiversity in Ghana, thus contributing to the achievement of the Millennium Development Goals (MDGs). Gaining support from Ricoh Company, Ltd., Conservation International has cooperated with a partner in Ghana to implement the cocoa beans agroforestry project for communities in Kakum National Park. Agroforestry is a farming method that is used to cultivate farm products in a semi-wild environment to sustainably produce farm products and regenerate the forest. The farmers who took part in the project have reduced their use of agricultural chemicals, increased their incomes, and improved their cultivation environments. Furthermore, we provide environmental education through which the native inhabitants and their children learn about the roles that wild animals and plants play in the ecosystem, through which they can deepen their understanding of the necessity of protecting wild animals and plants. We also run a Farmers’ Field School (FFS) to foster farmer trainers. In the school, more than 300 farmers have so far received training on the management of farm products as well as on harmful organisms and optimum accounting methods. The farmers who graduate from FFS pass their newfound technology and knowledge on to other farmers, disseminating the positive effects of practicing agroforestry widely and continuously. The project is now receiving attention from many parties in and outside Japan, including from Japanese confection companies, various international organizations, cocoa dealers, and students who visit and see the project. Ricoh has been supporting the Afan Forest Project since November 2001. The project, organized by the C.W. Nicol Afan Woodland Trust since its founding in 2002, aims to create forests in which a wide variety of species and humans can maintain harmonious relationships. The trust accordingly conducts ecological surveys and research and conservation activities in a roughly 100,000 square-meter forest in Kurohime, Nagano prefecture. Once degraded, forest ecosystems cannot easily recover—sometimes it requires hundreds of years if left to natural capacities only. It is therefore, important for us to help forests recover from their wounds. Envisioning the woodland 100 years from now, the project has been working to restore the ecosystem in the forest by selecting priority trees and facilitating the natural regeneration process. As a result, the variety and the population of forest inhabitants, including Glirulus japonicas (Japanese Dormouse) and other endangered species, have been increasing at a steady pace. In July 2011, Ricoh began a Mangrove Forest Restoration Project in Kuala Selangor Nature Park (KSNP), a coastal mangrove park located 60 km north of Kuala Lumpur in Malaysia. “Mangrove” is a general term used to describe a group of trees that grow in coastal areas where freshwater and seawater converge. These forests form a distinctive ecosystem of Malaysia that is rich in biodiversity, with 150 species of birds as well as many species of small animals, fish, amphibians and reptiles. Although the area is designated as a natural park, the preservation of biodiversity has been difficult due to illegal trespassing and lumbering. In fact, the population of mangrove trees has been declining each year. 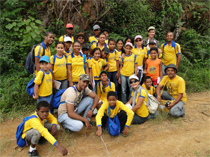 In the first year of the project, Ricoh provided opportunities for environmental education to the local residents to share in recognition of the significance of mangrove ecosystems. We also organized mangrove planting activities in deforested areas. We aim to develop an environment where local residents can lead sustainable mangrove conservation activities with the ultimate goal of having the area designated by the Ramsar Convention, an intergovernmental treaty for wetland conservation. 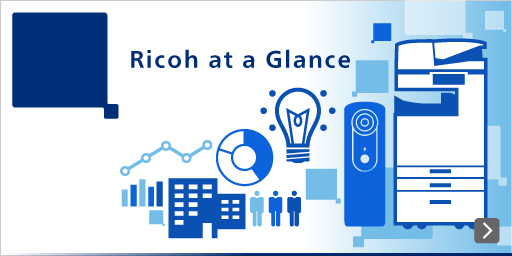 Ricoh (Malaysia) Sdn.Bhd., the local sales subsidiary, supports the project by conducting the “Go ECO with RICOH” program with their customers. Read the full text of the Ricoh Group Biodiversity Policy, which is based on the Group's policy and approach toward the global environment.